Regular termite inspection are a must for homeowners. Schedule yours today! Termites are a pain to deal with. Not only do they cause a lot of damage and are hard to get rid of, they are also extremely difficult to spot. Most homeowners don’t even know they have termites until their house is already damaged. We’ll provide some information that should put your mind at ease regarding termites, inspections, and treatments. In Australia alone, termites account for more than a billion dollars worth of damage. Some of that damage comes from here on the Sunshine Coast. There are currently 32% of homes that are being attacked by termites in the country, even higher in some areas. That’s about one out of every three homes! Over the lifetime of the house, It is estimated that over ⅔ will be attacked by termites at some point. Now, this shouldn’t scare you- it should simply help you be aware of the potential issues surrounding home ownership and termites so that you can make a smart choice to receive an inspection, treatment, or prevent them from coming at all. While the actual cost of having a termite treatment in sunshine coast already seems high, that’s nothing compared to the total amount of money that homeowners have lost due to the lowering of their homes’ value because of termites. 99% of homes receive a termite inspection prior to being sold, and unfortunately some termites are found during that time. This means that the prospective buyers would expect to pay less for the house, on average 10-15% less! So accounting for treatment, building and repair materials, and 10% of your homes’ value, you’re much better off simply preventing them and having your home monitored on a regular basis. It just makes good financial sense. During an inspection, we’ll arrive at your house within the designated time frame and go over what we will do with you. Your inspector will follow, and even exceed what the Australian Standard requires. He will get into the hard-to-reach places in your home in order to assure you properly of the damage, or hopefully the lack thereof. You’ll receive a full written, easy-to-read report of the findings, along with pictures of the damage areas. We’re professionals, but we’re also friendly. We’re happy to answer any questions you might have about termites, inspections, treatments, monitoring systems, and prevention techniques. We’ll even tell you what to look for in the event that termites come to your home. For example, if you find termites inside or around your home, what should you do? The first thing to remember is: do not disturb them! Many times homeowners see something going on and investigate and stir up the colony. This is a bad idea. It will often create flurries of termite activity, chaos within the hive, which makes it harder on the technicians to treat and eliminate them at a later date. You’re in good hands when you choose to go with Radar Pest Control for all your termite needs. 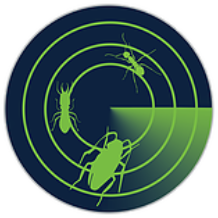 We use Termatrac, a termite detector that uses radar, moisture, and thermal sensors in order to best identify risk areas for subterranean termites. Our inspectors are fully qualified and ready to get rid of termites and serve you whenever you give us a call. Termite inspections on the Sunshine Coast don’t have to cost an arm and a leg. We’re competitively priced and are experts in everything related to termites. There are those that claim you can get rid of them with homemade remedies, but why take the risk of not fully eliminating them, only to call us later? 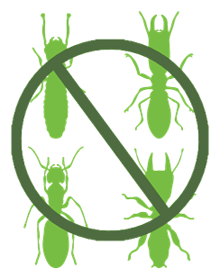 We should be your first choice when it comes to termite control, because we’re the smart choice.